Due Diligence Law and Practice takes its readers, step-by-step, through the Due Diligence process, covering everything from basic procedures and rules through to post-completion issues. Among other things, the publication contains strategies and tips for planning, as well as other useful advice concerning due dilligence from both the point of view of the buyer (of a company) and that of the seller. The publication contains contributions from lawyers, business advisors and consultants mainly from the UK, with further contributions from the Czech Republic, South Africa, India, Malaysia. It is a loose – leaf publication and is being updated by the contributors on a regular basis in order to bring to its readers the most updated information. Haškovcová&Co., namely Thu Nga Haskovcova, contributes to the publication and is solely responsible for the chapter regarding the Czech Republic, namely, the Due Diligence process in the Czech Republic and its application on mergers and acquisitions of companies, whether they be private or quoted companies, traded on public markets. The publication is updated three times a year. Thu Nga will also be updating the publication in this interval, with new information and new practical contributions concerning Due Diligence in the Czech Republic. At the beginning of 2011, Haškovcová&Co. launched its cooperation with eLAW.cz. eLAW is a legal portal with news and publications relating to Czech law and its most recent development. The portal aims to bring the most recent updates to its readers and followers. The contributors to the portal are lawyers from prestigious law firms in the Czech Republic with significant experience and track records. The Haškovcová&Co. legal team contributes to the portal regularly with articles on various topics in areas of its legal expertise, namely corporate law, real estate, IT law and insolvency law. 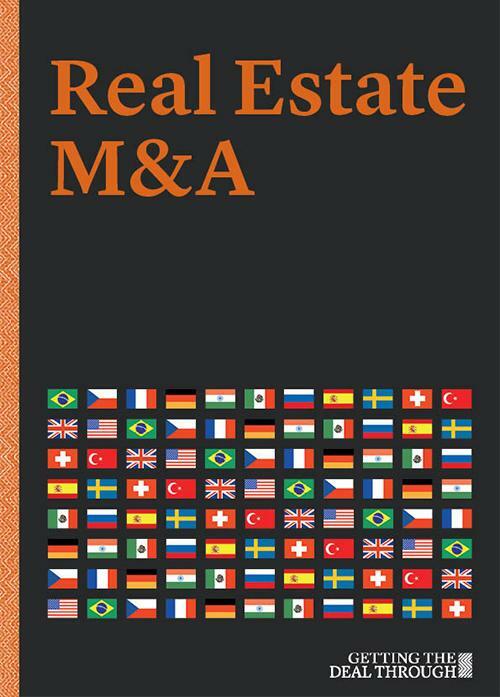 Real Estate M&A is a comprehensive guide to the laws and regulations governing real estate transactions in both public and private M&A. Topics covered include: typical structures and processes; specific regulations for cross-border combinations and foreign investors; information disclosure; shareholder rights in public combinations; mitigating tax risks; acquisition vehicle forms; environmental remediation responsibilities; liability and due diligence; financing; and the formation and activities of REITs and real-estate-focused private equity funds. The publication contains contributions mainly from Europe, but also from the USA, South America and Asia. Since 2019, Haškovcová&Co. has commenced its co-operation with Getting the Deal Through and is solely responsible for regular update of the chapter regarding to the Czech Republic.